Researchers can reach a reference librarian in person, by telephone and by email. Reference librarians are available to assist researchers with questions related to locating and using legal resources in print and online. Reference librarians will not give legal advice or interpretations of the law. 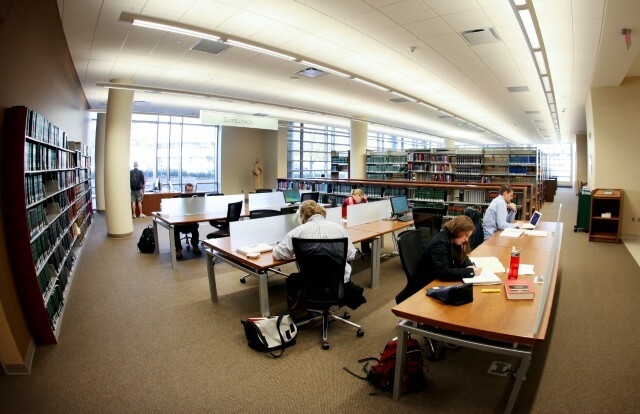 The reference desk is located on the first floor of Eckstein Hall. The reference desk is near the north wall of the building just past the elevators and circulation desk. Reference assistance is available by telephone at (414) 288-3837. Priority is given to researchers requesting reference assistance in person. Reference assistance is available by email. A reference librarian will provide an initial response to inquiries within 24 business hours. Priority is given to those affiliated with Marquette University. Email responses are not supplied within 24 hours when Eckstein Law Library is not offering reference services. A reference librarian is available during all library service hours.